distributed social patebin using Activitypub. Contribute to gobengo/distbin development by creating an account on GitHub. That looks interesting. Thanks for the post. Turn your website into an ActivityPub profile. Contribute to aaronpk/Nautilus development by creating an account on GitHub. So here's another #ActivityPub #Wordpress plugin. I have not tried it yet, highly likely still in development. I can't imagine how a federated via #ActivityPub #Git will work other than in comments. A federated pull request is, if I'm not mistaken, outside of the scope of AP. Still, something to watch â€¦ when activity starts. Well, interactions would be the point. What other point would there be? Is the social part of github. True that. Can also be we can avoid creating an account in a Git server just to leave a comment. Sourced / Feed Posts not propagating? When a feed is posted, it is posted as an "Article". However, when I go to the Article app, there are no listed Articles there, so I'm not sure if the feed post is actually an "Article" type. I understand (based on my other question previously) Article type posts should be sent as a "link" in ActivityPub? However, if I post a regular status/post, it shows up fine in ActivityPub. Tested on two Mastodon and two Pleroma instances. For sample channels: @gameshogun social and @Snoworld social . 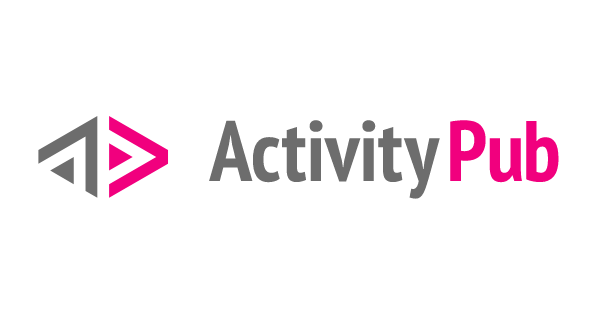 ActivityPub Articles and Hubzilla Articles are slightly different concepts. Article type posts should be sent as a "link" in ActivityPub? No they are sent as an ActivityPub 'Article'. 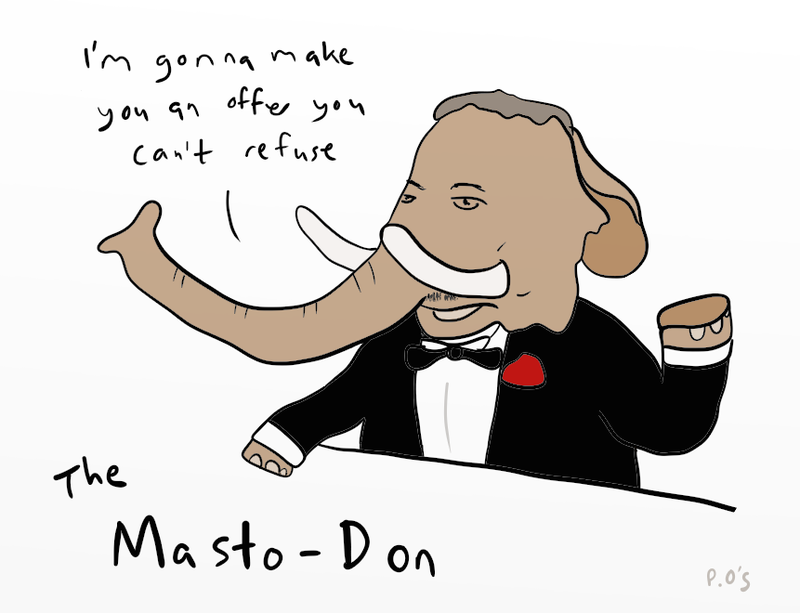 Mastodon won't display these because it might have big fonts, I don't know. Mastodon will only display a link. Most other ActivityPub software will display it normally and you won't see any difference in the stream (except it might have richtext and rich media). But here's where the fun begins... ActivityPub will not accept any content which didn't originate on an ActivityPub aware service. So even though Hubzilla is ActivityPub aware, the RSS feed is not, and its message ID *must* resolve to an ActivityPub URL and return an ActivityPub document if it is to display in the ActivityPub universe. Don't look at me. I filed an issue about this early on and was told that ActivityPub is emphatically *not* a walled garden, however it looks like a duck and quacks like a duck. I'll let you decide whether or not it's really a duck. That is sad. The more I learn about it ( #ActivityPub ), the more it isn't "open" the way it was marketed. It 'feels' restrictive or picky. Hmm, I'll give the HZ WP plugin a try in this case. No AP WP plugin works at the moment. So even though Hubzilla is ActivityPub aware, the RSS feed is not, and its message ID *must* resolve to an ActivityPub URL and return an ActivityPub document if it is to display in the ActivityPub universe. I'm going to assume you're NOT talking about the RSS FEED itself but rather to individual messages referenced within. Looks like Hubzilla uses the rss feed message GUID as its own message id... is THIS what you're talking about not originating on AP? This seems odd to me yet there are bound to be reasons (not complaining, just want to understand). I know some RSS feed readers just pass through... in which case your description makes perfect sense. Hubzilla actually stores the messages, however... not a simple relay. Since stored, seems like messages could be sent just as if created on the hub... and would be AP compatible... if a Hubzilla ID were assigned to the message. And would still provide a link back to the original source, of course. Essentially repackage the feed messages. Yeah, you can do that. It isn't easy as you now have to check multiple locations for duplicate detection. What is difficult to provide locally is the author - which also needs an ActivityPub ID, and they MUST have an ActivityPub inbox. And a public key. And if somebody else imports the same feed elsewhere in the network, you've got duplicates of all these forgeries. There are also copyright issue involved. So in this case it could probably be fixed, but I'm not going to do it. There are other cases like Diaspora comments where it can't easily be fixed because we would need to have these proxy identities for everybody on Diaspora and ActivityPub so they could see each other. At some point it doesn't scale and you've got multiple forged identities running around the network that aren't easily distinguishable from each other. Trust me I went down this road and tried to federate everything with everything else despite all their walls. I finally gave up and let everybody have their bloody walls. Ah, yes... the semantic web. I was simply trying to circumvent an issue, of course. You want to do it right. RSS or otherwise, proper attribution is a LARGE issue in distributing media on the web, whether journalism, podcasts, photography, datasets, or video. Once THAT is addressed, a payment mechanism could be easily piggybacked. But it is a hard problem. I've been told the blockchain is the answer. So just to confirm: this will neither work with Repost as this channel: ON or OFF? If it is ON (which for attribution reasons isn't great), how does ActivityPub even recognize that it isn't a regular HubZilla post? Just for reference: /sources . I will give it a try and let's see what changes. So, #ActivityPub is slowly gaining adoption. #Friendica will release AP support this December 2018. A new platform, #Osada is also federating with AP (and its own, Zot6). Then there is #Socialhome preparing for ActivityPub as well (while already connected to diaspora*). Still missing in the game: main #diaspora software, #pumpIO, and #GNUsocial (and its forks).